The Logs or Registers placed in trail shelters are notebooks in which hikers leave messages or document their day. 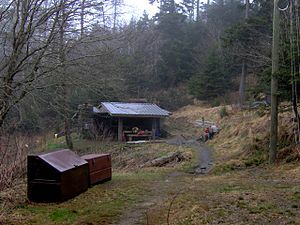 Ideally, if a hiker is missing and loved ones have no idea what happened to the hiker, the authorities would be able to find out where he/she was last and learn other information from the shelter log. But shelter logs are mostly used by hikers to leave messages for friends behind them, or to describe their feelings, or to tell about their progress. 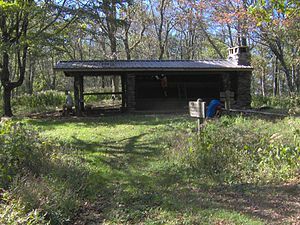 I just found out that one industrious Appalachian Trail hiker, Tim Messerich, took on the task of scanning shelter logs of the thru-hike season. He has scanned logs from 1984 through 2009. And he’s still at it! This is a huge undertaking, and I thank him for making this trip down memory lane available to any and all. Some of the hikers were artistic and drew clever pictures. A few creatively signed their trail names, like “Two Paws” who drew two bear tracks above his signature. Now and then you read a poem, or lines from a song. Early on, my entries ended with “So far, so good.” Occasionally I would leave (what I thought were) words of wisdom. Although I didn’t see it, I remember once signing off with, “I don’t know any strangers, only friends I haven’t yet met.” That’s the way it was. This entry was tagged AppalachianTrail, backpacking, camping, hiking, long-distance hiking, outdoors, thru-hiking. Bookmark the permalink.